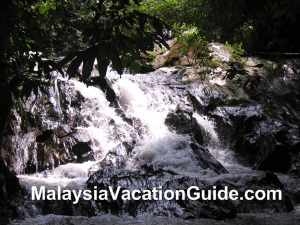 Malawati Hill or also known as Bukit Malawati is located in Kuala Selangor, about 45 to 60 minutes drive away from Kuala Lumpur. 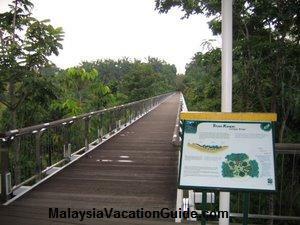 If you are planning to go to Kuala Selangor to see the fireflies in Kampung Kuantan or Firefly Park, drop by this historical hill and spend an hour or so here before going for seafood dinner at Pasir Penambang. The fortress on this hill was built in late 18th Century to defend Selangor from the attack of the enemies. 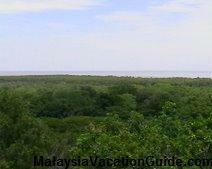 The high ground provided a vantage point of view to monitor the ships that passed by the Straits of Malacca. This hill was captured by the Dutch and renamed Fortress Altingsburg, the name of the Dutch Governor General at that time. The Civil War that occurred from 1867 to 1873 due to the struggle for tin mines had destroyed this fortress which was later taken over by the British. What remains of the fortress today are some cannons, foundation stones, Poisoned Well and colonial houses. 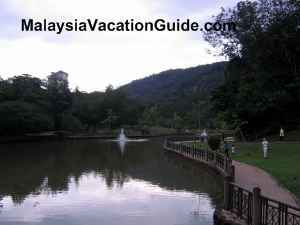 Other attractions at Malawati Hill include a light house, a royal mausoleum, a viewing tower, a museum, 200-year-old angsana trees and the monkeys. 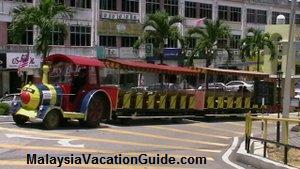 During the weekends, there will be trams that run up the hill from the foothill for a fee of RM2.00 per adult and RM1.00 per child. These trams are well decorated and colourful, so remember to take a photo or two as a momento. Private cars are allowed up the hill during the weekdays. There is a big parking bay available for your use at the foothill. If you are fit and do not mind walking, a walk up the hill will take you approximately 15-20 minutes. 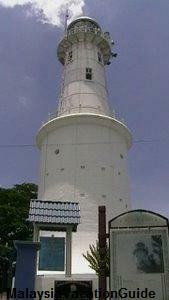 On top of Malawati Hill stands a huge and well maintained light house that was built in the year 1907. This century old structure is still in use today to guide ships that sail along the Straits Of Malacca. This light house has 2 levels where the lower level consists of a twirl stell stairs from bottom to the top. The top level consists of a big rounded flat bulb which is lighted up from 7:00pm to 6:00am the next day. Visitors are not allowed to go into this light house except prior arrangements are made with the authorities. There are many monkeys from the species called Silver Leaf and Long Tail Macaques. They roam freely in this park and will not hesitate to come near you if you have food for them. 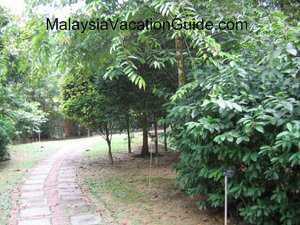 You will be able to see many visitors feeding the monkeys bread, rambutans and nuts. The adult Silver Leaf Monkeys are dark-haired whereas the young ones have a distinctive bright orange-haired all over the body. 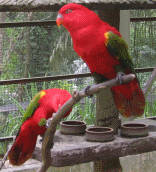 They are more gentle in nature compared to the Long Tail Macaques. Bread and fruits can be purchased from the sellers at the hill itself if you intend to feed the monkeys. As the monkeys are wild, be careful when you feed them. A Silver Leaf Monkey and her offspring. Notice the orange-haired offspring that hang on to the mother for protection. 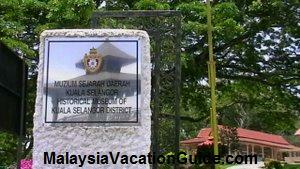 Kuala Selangor Historical Museum is also located on top of the hill and is opened daily except on Mondays. 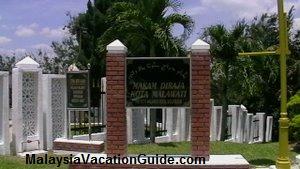 There are many historical artifacts and write up about Kuala Selangor and the surrounding areas that you can see and explore while you are here. The visit to the Museum is free of charge. The entrance to Kuala Selangor Historical Museum. Other attractions that you can see here include the Poisoned Well that was said to be filled with a poisonous mixture of juice from bamboo shoots and latex. It was used to execute traitors by lowering them into the well. Old cannons that were used in the olden days can be seen along the higher ground of the hill. As you move along the park, take note of many big and gigantic trees called "Angsana" trees that are reputed to be 200 years old. 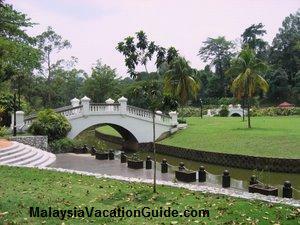 See the old structure of colonial houses that were built during the British occupation of Malaya. Take some pictures of the panoramic view of Malacca and the surrounding villages from Malawati Hill as a momento for you to bring back home. 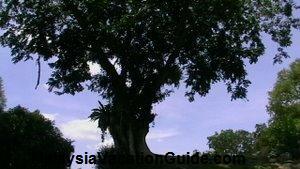 The 200 year old angsana tree can be seen standing tall and strong at the Malawati Hill. If you are driving and are coming from Kuala Lumpur or Petaling Jaya, take the NKVE and exit at Sungei Buluh toll plaza. Follow the trunk road towards the direction of Kuala Selangor. 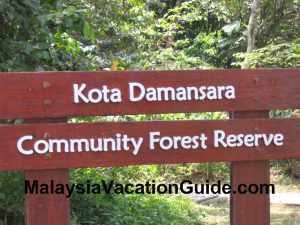 As you reach the town, look for the signage Bukit Malawati. Follow the direction and you will not miss this place. The drive will take you approximately 45 minutes to 1 hour. See the video of Bukit Malawati taken in the afternoon. There are many monkeys that come for food during this time of the day. They will not hesitate to grab food from you if you allow them to. Within the vicinity, take a cruise down Kuala Selangor River and see the Firefly in Kampung Kuantan. If you are hungry and need to satisfy your hunger, try the many seafood restaurants at Pasir Penambang, a 10 minutes drive away from Bukit Malawati.